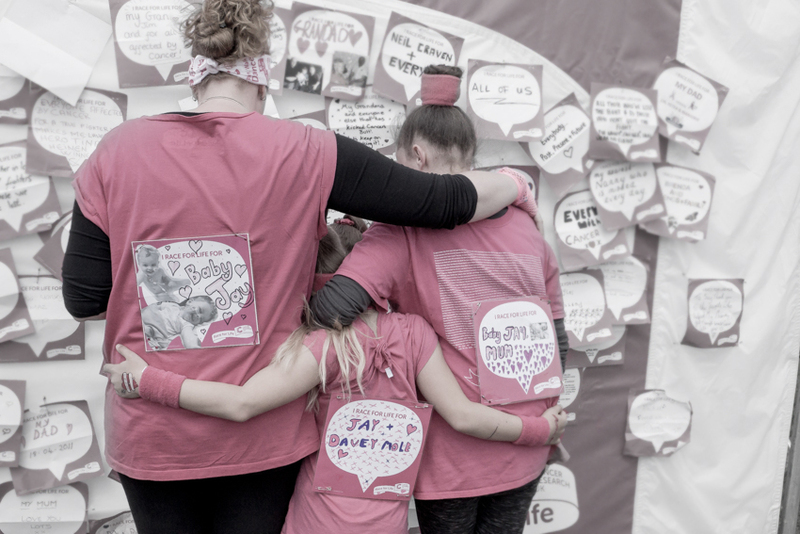 Taking a moment to reflect on the reasons we Race for Life. The reflection wall is always one of the hardest things for me to photograph. It is where you can see that these are people that have been affected by cancer, you see pictures of relatives, hear real stories and realise this horrible, horrible disease can leave such devastation. But the ladies that take part have such strength it is an honour to be a part of their day.